amber love: Giveaway || How to be a Knowledge Ninja! 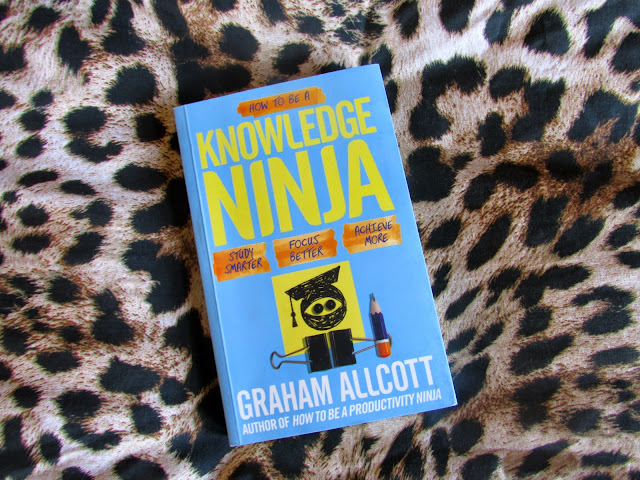 Giveaway || How to be a Knowledge Ninja! Obvs we all want to be knowledge ninjas. Usually I am not one for self-help books, and I am generally a very organised person, so I can't even imagine the difference this book could make to a disorganised person! I wrote a review of this book in my student life series, because it's perfect for students, but anyone could benefit from it! The author, Graham Allcott runs the company Think Productive, providing workshops for businesses to increase productivity... duh. I gotta lot of admiration for the ninjas over at Think Productive, they have a really healthy attitude to work, so I'm more than thrilled to be working with them again but this time to give away one of their books to one of YOUUU! This giveaway is UK only, you must be following via Bloglovin', and it will run until Wednesday 16th September when a winner will be chosen at random. If the winner does not reply to accept the book within a week another winner will be chosen (again, at random). Good luck!